Last week, the online pension manager picked up the prize for Innovative Business of the Year at the 2016 Startups Awards, and fought off hundreds of innovative startups to be named one of the top ten ‘fintech companies to watch’ by the Financial Times. Since going live in January of this year over 13,000 people have signed up to PensionBee, with around £2 million of pension money being transferred to the platform each week. 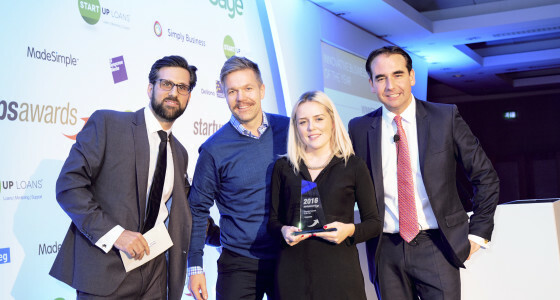 This impressive growth captured the judges’ attention and impressed the Startups Awards team in particular, with PensionBee claiming the prize for Innovative Business of the Year ahead of impressive startups like Decibel Insight and Yoyo Wallet. With an eye to give more customers control of their retirement and further improving the product, PensionBee is planning to accelerate growth with further investment and a nationwide brand campaign in 2017.